McKayla Maroney Speaks Out For First Time About Larry Nassar Abuse | McKayla Maroney | Just Jared Jr.
McKayla Maroney was one of the many who spoke out about Larry Nassar‘s abuse while she was on the Team USA Gymnastics team, and now she’s giving her first interview about it all. In a sneak peek of her Dateline feature, which aired on Today this morning, the 22-year-old athlete detailed how the abuse started and how it went on for years. McKayla‘s full interview will air during a Dateline special on Sunday, April 22nd on NBC. 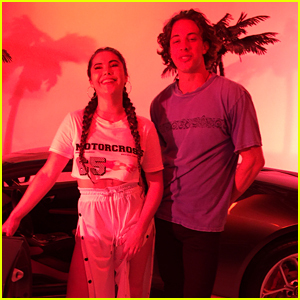 Gymnast McKayla Maroney Stars in Wade Hampton's 'U Feel Like' Debut Music Video - Watch! McKayla Maroney Flips Out While Throwing First Pitch at Chicago White Sox Game - See The Video! Bethany Hamilton & Gabby Douglas Pick Up Blimps at Kids Choice Sports Awards 2014! McKayla Maroney on 'Bones' - See The Pics! and they never said a word to their parents?